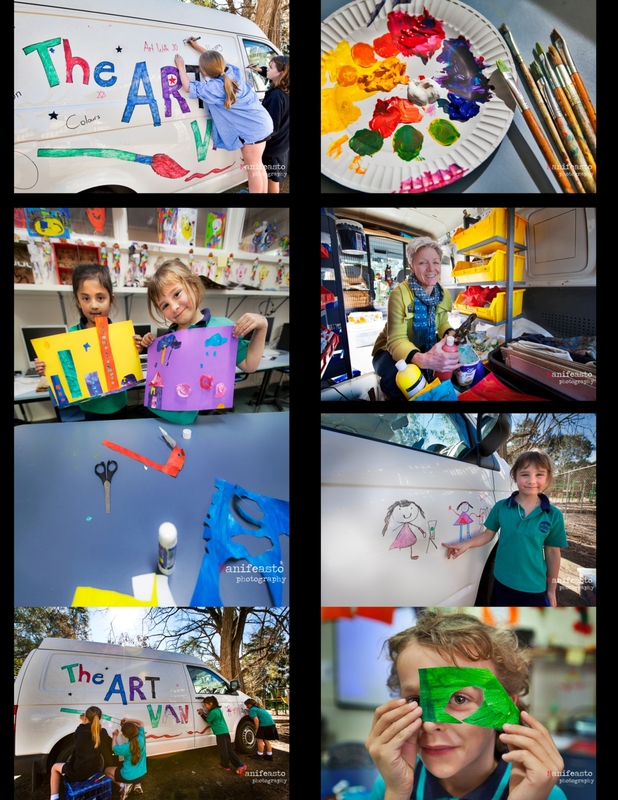 Mobile Art- Bringing Art Education to Rural Kids. Photoshoot for AEU. When I was at school I loved art, but growing up on the outskirts of a metropolitan centre, I probably took it for granted. So when the Australia Education Union asked me to photograph the Mobile Art & Craft Centre (MACC) I was excited to see what a MACC involved! The photo shoot was for an article in the Australia Education Union magazine so my brief was to capture the van, the kids making art and their art teacher, Jo. I walked in to classroom where Jo was showing them slides of Matisse ( I hadn’t even heard of Matisse until I was much older)! From that point, I knew this was something special. Art is an amazing way to engage, educate and inspire kids across all learning abilities and social, economic and cultural backgrounds, and now thanks to MACC, kids in regional and rural locations. Thanks to AEU, Whorouly Primary School teachers and students, and special thanks to Jo Briscomb the MACC co-ordinator. To read and hear more about an MACC and a recent exhibition see ABC Goulburn Murray page here.